Disclosure: I received complimentary tickets to a performance of Wanda's Monster to facilitate this review. All opinions expressed are my own. Earlier this summer as a member of the GoGo squeeZ Squeez Squad I attended a blogger breakfast hosted by Wanda's Monster, the NYC-based play about a little girl's friendship with the shy, funny, purple monster in her closet. While I didn't attend the play, my interest was piqued, and I was thrilled when I was invited to return to see the show with my family. Wanda's Monster plays in the Vineyard Theater just off energetic Union Square and features lyrics and music by Laurie Berkner, who writes witty songs for kids that are easy for parents to groove to as well (we're huge fans of Pig on Her Head in our household!). It's appropriate for ages 2-10 years old, and I realized as we attended about a month prior to Lil Lovebird's 3rd birthday that it was her first musical. 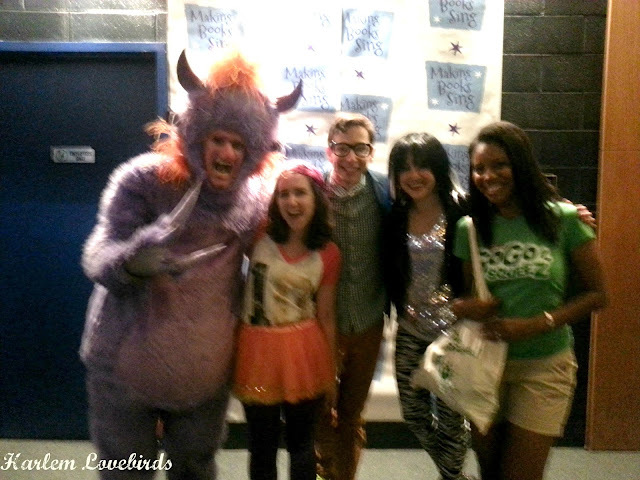 The theater staff were kind and inviting and a band warmed up the audience right before the performance. Nia took a while to warm up, and I was curious to see how she'd do sitting through a live musical performance. With an approximate one hour running time without intermission I was pretty confident she'd make it through, but unfortunately, after a few glances at the monster when he appeared she was not too happy and rather than wail or shriek in fear, she cried silent tears, quietly telling me she was sad before bursting out. I felt so bad for her and had to carry her out about half-way through before returning a bit later. Mr. Lovebird saw Wanda's Musical in its entirety and the time when we watched it all together he and I laughed at the wit and humor of the writing - it really is great entertainment the entire family can enjoy especially if your little one is up to it. 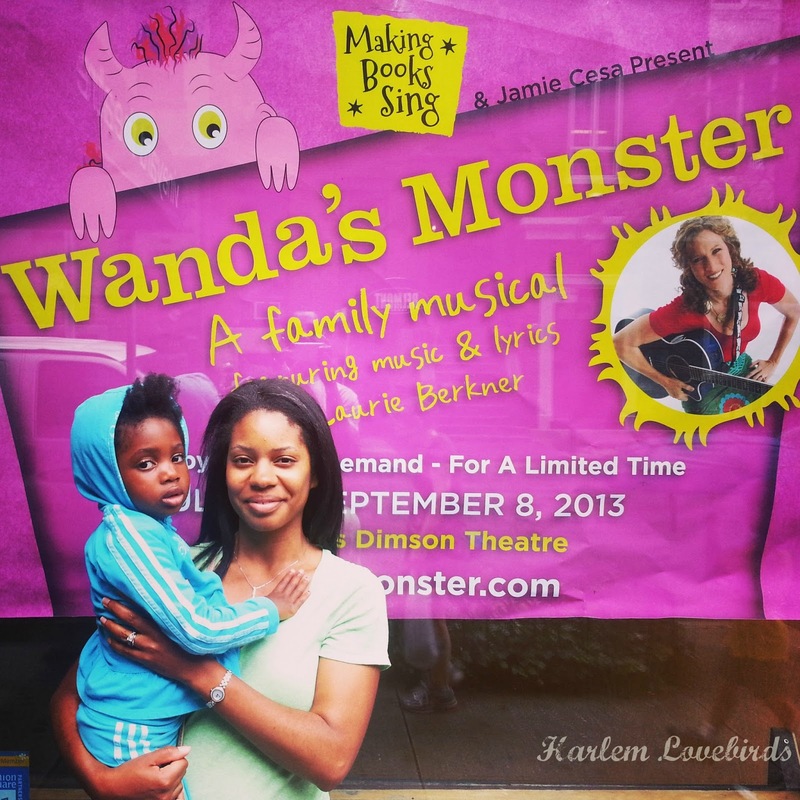 Wanda's Monster runs until September 8, 2013, and you can purchase tickets here. 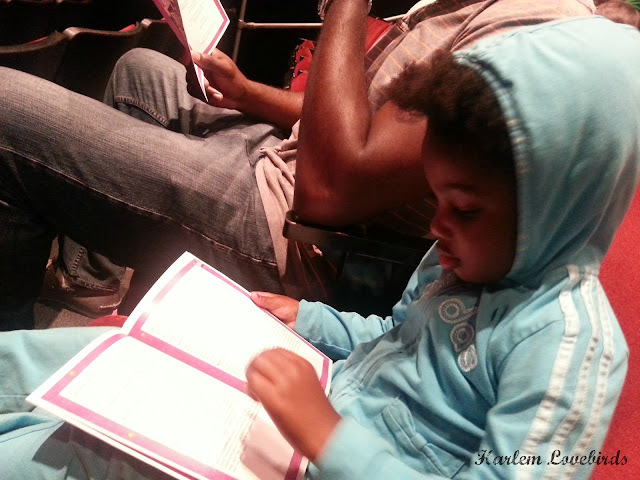 Have you attended a live play or musical with your little one? How was it their first time?